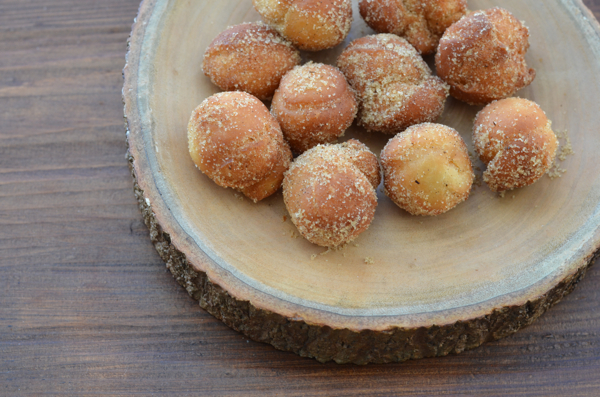 It took a Nor’easter dropping anywhere from 24 to 36 inches of snow in the New York area to finally make this delicious recipe- my grandmother’s doughnuts. The snowy weekend blizzard was the perfect opportunity to try out a Christmas present – my shiny new deep fryer! 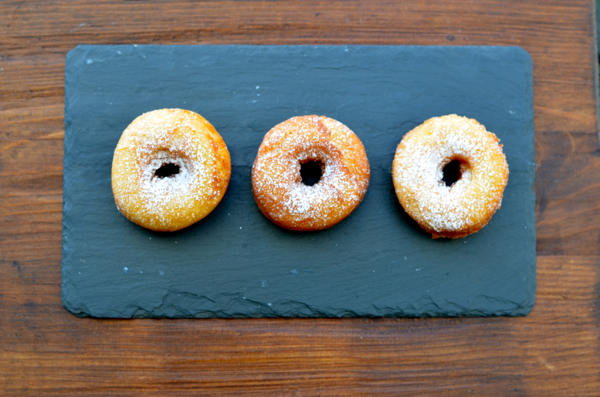 The key to having a great doughnut, that is crispy and light, is getting the oil to the right temperature. The fryer makes this easy. You can also use a deep pot filled with oil and use a thermometer. Whichever way you decide to fry , this is the perfect way to show your love to your family and friends by making something this special. I think of making doughnuts a little bit of a cooking event but the results are well worth it. The winter isn’t over so you might want to consider this cooking project when you have to be spending some time indoors. You and your family will be glad you did! From by the bay wishing you, some wintry doughnut food memories! This entry was posted in cakes, desserts and tagged comfort food, Family recipes, German recipes, old fashioned doughnuts, sugared doughnuts on January 27, 2016 by entertainingbythebay.